‹ Garlicky Chicken with Lemon-Anchovy Sauce. 2. Heat a sauce pan & add the Butter. When it stops sizzling, add the Thighs. Cook for a few minutes until lightly brown, turn & repeat until cooked through. 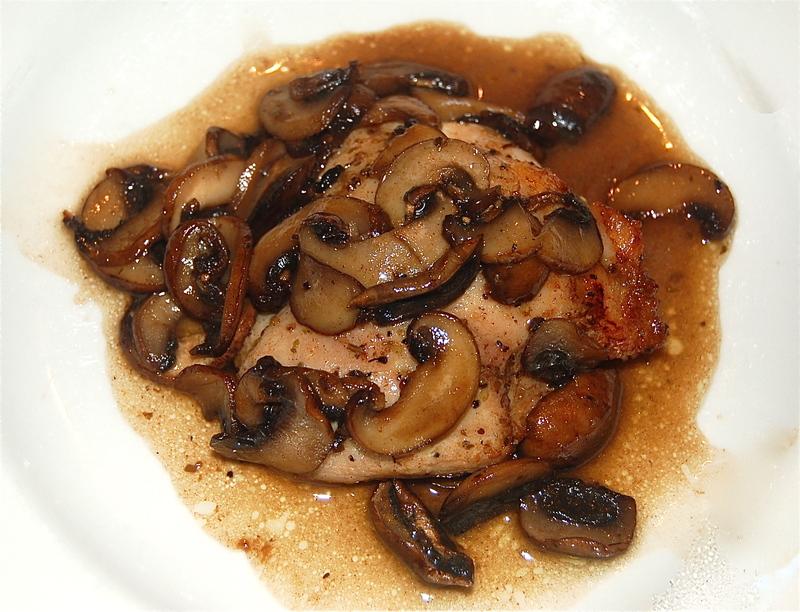 Remove to a warm plate while you prepare the Mushroom Marsala Sauce. 3. Add another TB of Butter & the Mushrooms. Saute until lightly browned. Add the Marsala, Sherry & Demi Glace Gold. Saute the Sauce until slightly reduced & well emulsified. 4. Plate the Thighs & spoon on the Mushrooms & Sauce.